Mr. Wahlforss, is SoundCloud a profitable business? That has not been our focus so far, to be a profit-making business. It’s all about timing and when we really decide to focus more in that area. But I think it is more important to be able to prove that a model is working, that you can see revenue, that you created a thing that people find valuable. Especially in the earlier days of the company, you could always sort of point and say, “Hey, we have something that works, that brings money and not only users.” That was our philosophy when we started. 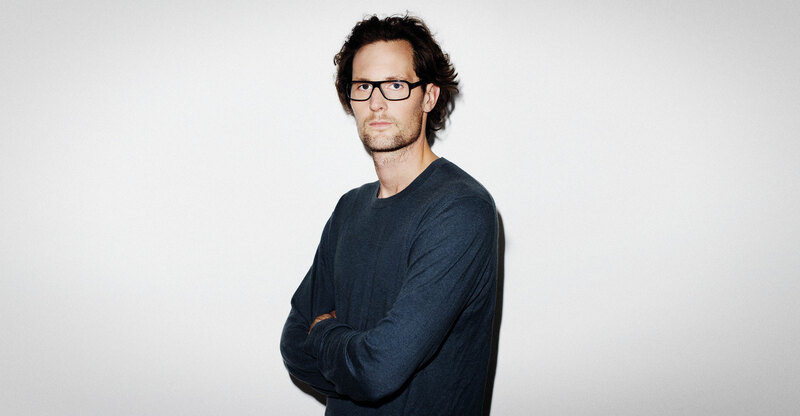 SoundCloud is valued at around 700 million dollars. Don’t you think it is crazy that a company can be worth so much without actually making a profit? I mean you can say a lot about that... Some companies do it very consciously and understand exactly how to stage it and others really don’t have much of a plan. It’s hard to say it from the outside. There was a climate after the whole Dotcom crash, and there was a second wave with some failures around 2006 and 2007, where we were conscious of that. There was a movement around smaller, more focused companies that were doing one thing. We thought of keeping it very simple and making a subscription based service that if people find value in it, they pay for it. Then a lot of things happened along the way. Definitely. SoundCloud has become the poster child of the Berlin start-up scene. Before you guys, Berlin really only had the Samwer brothers who are known for copying other people’s concepts for the German market. When we came here, the Samwer Brothers were the only thing that Berlin had – that sort of culture of copycats. I think there has been less and less of it over time. And it is not like in Silicon Valley that people don’t copy – in fact there are always like five or six copies of every successful thing that comes out there – but we are really happy that we have succeeded in transforming the image of Berlin to something more representative of what it actually is. It is a genuinely innovative place right now. But I’m not being critical of the Samwer Brothers. They play their part, they are very good operationally and they have some very big success stories. But SoundCloud has certainly helped paint a fairer picture of Berlin. What drew you to Berlin before it had a reputation for internet startups? I came to Berlin in 2001 to do music and I actually had a record deal. Through some connections in the creative, design scene here I found my way to a company called Gate5. That was really an experience of a startup, of this chaotic entrepreneurial climate. They were trying to create something new, trying to find customers, trying to use technologies in alternate ways and I realized, “Oh actually that’s what I am good at.” I was only there for a year and then I started doing music again, I was in Japan and we played a tour there, but I would say I sort of found my identity, which took a long time. In Sweden, entrepreneurship it is not at all widely known the way it is in the US. I remember there was a This American Life episode recently where they asked teenagers in different small towns across America, “What are you going to do when you grow up?” and a lot of them were talking about entrepreneurship as if that is a totally natural thing. In Sweden I don’t think you would get the same answer. Maybe these days you might start to get some of these answers, but my parents did not socialize me at all into that area, for example. To raise money was completely new territory; that was nothing that my parents knew about. Did you end up getting start-up funding? We were trying to raise money. At the end of 2008, you had this real estate crisis in the US and no one really wanted to invest in us. People even said, “I know that what you are doing could somehow make sense but we don’t want to take on any risks.” So, it was really tough there for a while. We didn’t pay salaries for a long time. Luckily Berlin is so cheap that you can survive on almost nothing. How did you convince people to keep working for you without paying them? They had to work for free for a couple of months and we had to talk with them and let them know that a salary is going to come, hopefully. I remember I was in debt left and right. I had borrowed small amounts of money from different people. But it was a really fun time. I poured a lot of energy into this startup. With 16-hour days and all night coding sessions kind of like in The Social Network? The movie is obviously kind of a polished thing, and maybe there are exaggerations, but that’s exactly how it was. We had a crazy, weird location. It was just this concrete box that this criminal Danish guy painted before we moved in. He literally just threw buckets of color in this incredibly poor paint job. We slept there in some cases, had crazy, weird parties there. It was kind of a crazy time because we had nothing else. We came to Berlin for this purpose. We were on a mission here. We didn’t have any money, so we had to really bootstrap and figure out how to get by. But within two years you received 3.3 million dollars in funding and within three years you had over one million subscribers. Was there ever a time that you thought things were going too fast? I’ve had my share of stress related issues and now I try to make it a more balanced, sustainable thing. But to be honest, I think it’s a lot easier for me to feel like things are going too slow. It’s very easy to toss around ideas and easy to come up with some big concept, but to execute it, and to really nail it, takes years in some cases. Of course, it’s really overwhelming sometimes because there are new people coming in all the time, but for me it’s probably the opposite. Also, when you have this many people, as an individual you can’t move the needle that much. You are part of a big group of people and you can only bring a few things to the table. That’s kind of what’s been going on for the last six years. One of the things that I really struggle with is that a lot of the skills that I have are obsolete in some way, like making music – I don’t have a lot of time to make music. Building websites – I don’t code or design anymore. There’s a lot of stuff that I could do or that I used to do, that I can no longer do because it would just no longer work. That’s kind of a nostalgic element for me. At least there is always the option of selling your stake in the company and pretty much doing whatever you want. I think I would probably go crazy after three months. I don’t know if I could just check out. I’m able to use a lot of the experience and skills that I’ve acquired in this project, which is really nice. In a sense I found my identity – I really like entrepreneurship, I like starting new things, I like thinking about an idea and then executing on it. Thinking back, at some point when I was a teenager, my father said, “Hey, you have a lot of stuff ongoing that you have not finished. Try to finish something. Try to create something from beginning to end.” And I think that really stuck with me. I feel a strong sense of commitment. I’ve set out to do this now and we need to finish it.